The new iPad Air sounds like a winner. 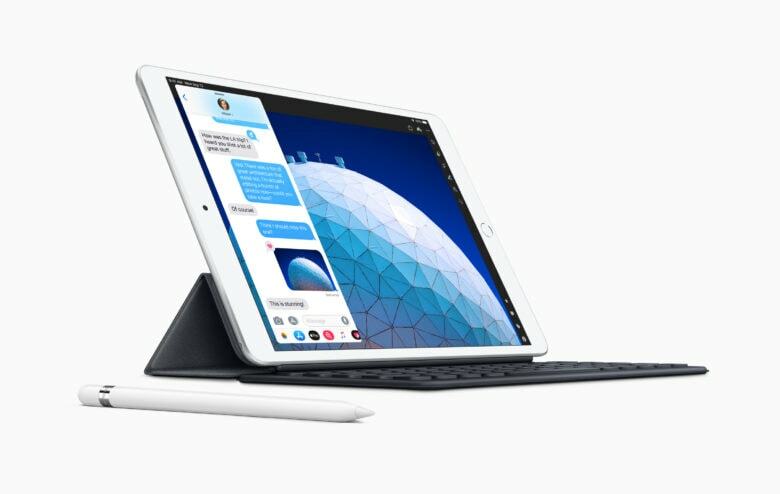 The new iPad Air might not be quite as beautiful or cutting edge as its Pro counterpart, but it’s still a gorgeous piece of tech — and a potential “Back to School” winner. That’s according to the first reviews of the new tablet published. We’ll update this meta review with other opinions as they become available, but here are the first impressions so far. This isn’t the iPad to get if you want all the latest features. Nods to the past include lightning port over USB-C, two instead of four speakers, first-gen Apple Pencil compatibility only, Touch ID instead of Face ID, and (good news!) a headphone jack. But these all work well enough not to be worthy of complaint. The iPad Air was the iPad Pro before there was an iPad Pro. But how does it stack up for a person looking for a decent iPad, circa 2019? Quite well it seems. “We found in our tests that it doubles the performance of the entry-level iPad 9.7 (2018), offering another perk for anyone seeking serious productivity and looking for a long-term investment,” TechRadar notes. It can also manage 10 hours of battery life. That’s the same as Apple’s other iPads. In other words, don’t buy the latest iPad Pro just because you want an iPad that can last longer between charges. TechRadar writes that the, “10.5-inch display with thinner bezels is a nice upgrade over 9.7-inch iPads.” This is the first iPad Air to boast a 10.5-inch Retina display and thinner bezels. Compared to the 9.7-inch entry level iPad it adds a laminated screen, wider color palette, True Tone display and anti-reflective coating. All of these impress. The iPad camera has never been all that important to me, compared with the iPhone’s shooter. The iPad Air manages to deliver adequate results. The rear camera captures 8MP photos with an f/2.4 aperture, just like the entry-level iPad 9.7. The 7MP front-facing camera is a big upgrade over the the 1.2MP FaceTime camera for the iPad 9.7, though. Its better 1080p video vs 720p also makes it superior for FaceTime.